Indian Railway is the largest network. Peoples travel safely on the train. They enjoy the travel on the leave of vacation. The train is the best facility for a long journey. The railway department provides the Apps to know about the latest information and an inquiry about the position of trains. Indian railway system governs by the ministry of the railway. As you know that esteem engine was working in past to pull the several compartments of the train, after some time steam engine converted in diesel engine and power of pulling has improved. Now the railway introduced the electric engine. This is more powerful from the previous. So, you can say that the railway is improving day by day. Indian Tourism is one of the fastest growing industries of the world and this industry growth depends on the railway traveler. Actually, big numbers of people travel from the railway. So, the tourist guide waits for the people, who spend quality times on historical places. 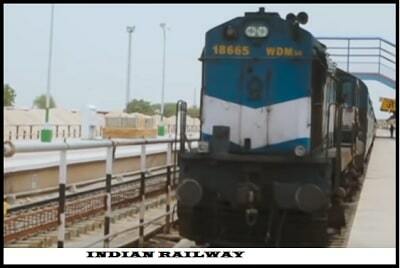 The network area of the railway is very large and covers the remote area of India. So, travelers feel comfortable to journey with the railway. When The Rail Transport Founded? Rail transport founded on 8 May 1845. The Indian Railway headquarters is in New Delhi, India. The revenue generates by the industry is approximately Rs. 1.874 trillion (2017 - 2018). The owner is Government Of India. Railway has 17 Zones with route length is 67,368 kilometers. Indian Railway headed by the seven members of the railway board. It was a summer vacation and my father invited me to Delhi. I was filled with joy and very excited about the journey. Actually, I would like to move from Patna and want to see Delhi. I know that so many historical monuments were there. Early morning I booked a ticket in the sleeper coach. But I got the waiting ticket from the ticket counter. My train schedule was at night. So, I was sure that my ticket will be confirmed on time. The whole day I have inquired about the status on the Enquiry window but they did not provide the current information on ticket status. That time fill about the need of Apps to get the instant and accurate information of ticket confirmation. So, I chose some good apps for smart-phone. Some sites are also very useful to provide the PNR, Ticket Confirmation, Train Information and Enquiry status free of cost. I have bookmarked this site on my mobile and shared the details below. Ok, I would like to share the story of the journey. After getting the confirmation of the ticket I started my journey. There were so many passengers in my compartment. Some of them were reading the newspaper and some were engaged in talks. Meanwhile, ticket checker came and checked the ticket and imposed fine on those people, who were not taken the ticket. From time to time hawkers would get into the sell the article like - Sing Dana, Peanut, Fruits, and Soft Drinks. Next morning, I was in Delhi at 6 P: M.
My travel was very cool and energetic but that was only possible due to getting the right information of ticker confirmation by the Railway Enquiry Apps. So, it is mandatory for every traveler to install the good railway information apps in his Smartphone to know about the right information on time. 1) Where Is My Train - This is a very unique app. This will provide the live train status and up-to-date schedules from Indian Railway offline without the help of internet or GPS. This app gives a unique feature like - Seat availability, PNR status, tracking etc. Overall this good for you. The rating given by the users are 4.7 and 934752 people have been downloaded this app. 2) IXIGO Travel App - This is an official IRCTC partner app. You can use it for booking the train ticket, train inquiry & information, PNR status, live train running status. Another features are - this app helps you to book train, flight, hotel by the single click. The rating is 4.5 star and 603000 users downloaded it. 3) Rail Yatri - You can use this app to know about the PNR status, live train status, and railway inquiry. This will also provide the right information about your ticket booking confirmation, seat availability, train between the station, food on train and people are given the rating 4.4. Approximately 265000 people downloaded this app. 1) India Rail Info - You have to log in this site through your Facebook account or register in it. This will provide every inquiry of Indian Train. This online platform equipped with Timeline, Trip, Poll, Pic, Blog. You can share your experiences of traveling on blog section too. 2) CRIS - This is the national train inquiry system. You can asses any information regarding Indian Rail, without using login or registering. This app also provides authentic information to users. 3) NDTV Live Train Status - I use this platform to know about the current status of the train. PNR, Live, Search, Trips are the main tools of this site. I recommended you to use this platform. The smart way to collect the right rail information and inquiry of PNR, Seat availability by the using these apps and website platform. Please share this information and give comment in below box.